Dangle earrings are fun, elegant and creative. They draw attention to your style, emphasize your features and help you achieve a unique look. But is there something you should know before you buy fashion earrings? As a matter of fact, there is. And you have to read further to find out how to buy the perfect dangle earrings for you. As the name suggests it, dangle earrings are jewelry pieces that hang from your ear below the earlobe and have some sort of movement. They simply dangle beautifully as you move your head and their length is variable. They can be just below the earlobe or they can even brush the shoulder. There are many types of dangle earrings and many creative designs. From elegant chandelier earrings to threaders and linear drop designs, the world of jewelry is full of interesting earrings. So which one should you choose? 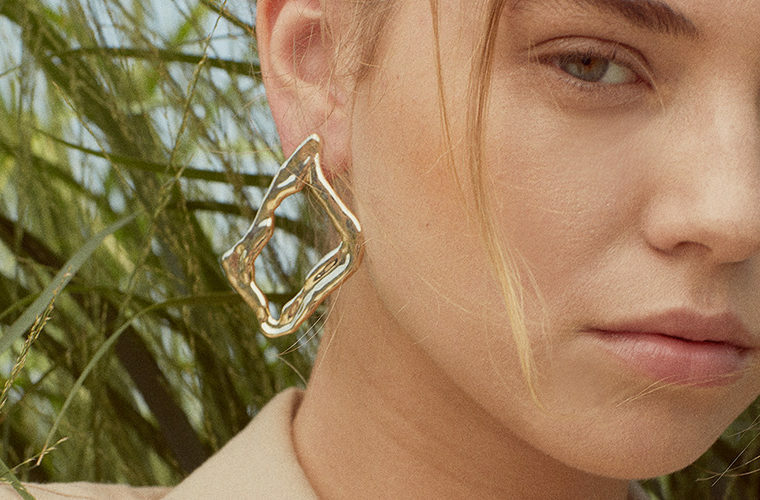 How can you find the perfect pair of dangle earrings? That’s for us to know and for you to find out if you continue to read further. Lavish chandelier earrings, minimal linear drops, tassel earrings, ball drop designs, some geometric earrings as well as special hoop creations can be dangle earrings. As long as the earrings hang below the earlobe and are not rigid, they are dangles. To make it easier, think of what is left after you take out hoops and studs from the equation. Most probably, with some exceptions, all the other earrings fall into the category of dangle earrings. And now that you have all these options, how do you know which one is the best for you? Well, according to your face shape, of course. If you have a round chin line and your face has almost the same length from the tip of your nose to all sides, then you have a round face. The perfect pair of earrings for you will balance your features and they will sport linear drop designs or angular shapes. 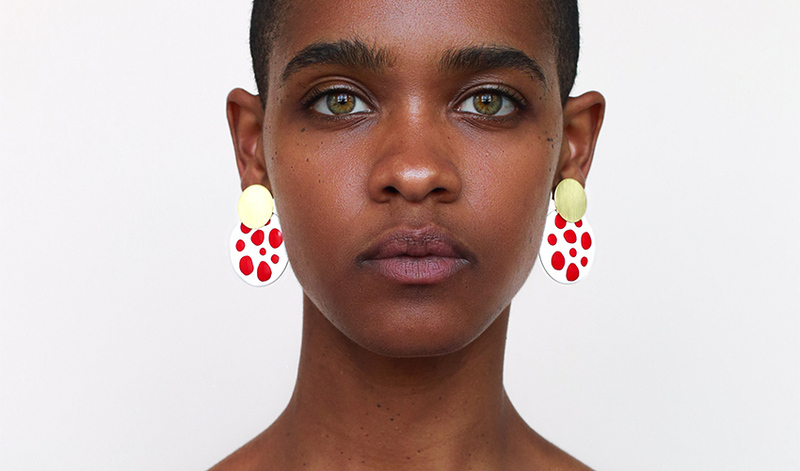 Ana Luisa’s Love enamel earrings are an example of dangles perfect for women with round faces. They help elongate your features and offer balance and elegance. Firstly, let us say that you are very lucky. Women with oval faces, meaning that their forehead is slightly wider than their chin and that they have a rounded jawline, can basically wear any type of earrings. However, if we were to make a recommendation, we would tell you to go for these beautiful statement earrings. Just because we love their creative design and because your face type allows you to flawlessly wear these beautiful earrings. With a slightly pointed chin and a forehead that is wider than the width of the jawline, women with heart-shaped faces will look fabulous with earrings that have rounded bottoms. This way, the dangle earrings will bring balance and soften the chin while creating an elegant and stunning look. For example, this pair of bottom-rounded chandelier earrings by Ana Luisa is not only gorgeous and elegant but also ideal for women with heart-shaped faces. With a forehead straight along the hairline similar to the jawline in width, women with square faces look gorgeous when wearing dangle earrings with rounded designs. These earrings help soften the angles and create a nice overall effect. A great example of dangle round earrings is the ball drop design. Check out these ball drop earrings by Ana Luisa. Due to their lovely shape and beautiful color mix, they will help you create a fabulous look. 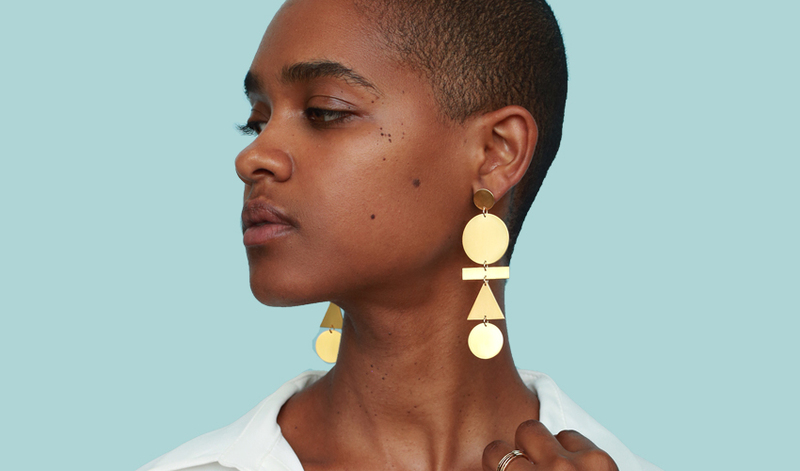 We know that, technically, these earrings are not dangles because they don’t move, but they are still a great choice for women with square face types. If you cheekbone is wider than your forehead and also than your chin, you have a diamond-shaped face. Just like women with oval faces, women who have this face shape can basically wear any types of earrings. Long dangle earrings look especially good on you, though. Ana Luisa’s Eva mobile earrings below will look gorgeous as you pair them with a relaxed updo and a flowy dress. They will help emphasize your features so go ahead and get this amazing pair of earrings. Also called the long face type, this shape means that your face is narrow but long. We recommend wearing earrings that add more roundness and curves to your face. However, if you want to maintain a balanced look, avoid oversized designs. A great idea for dangle earrings for you would be these lovely pearl drop earrings. 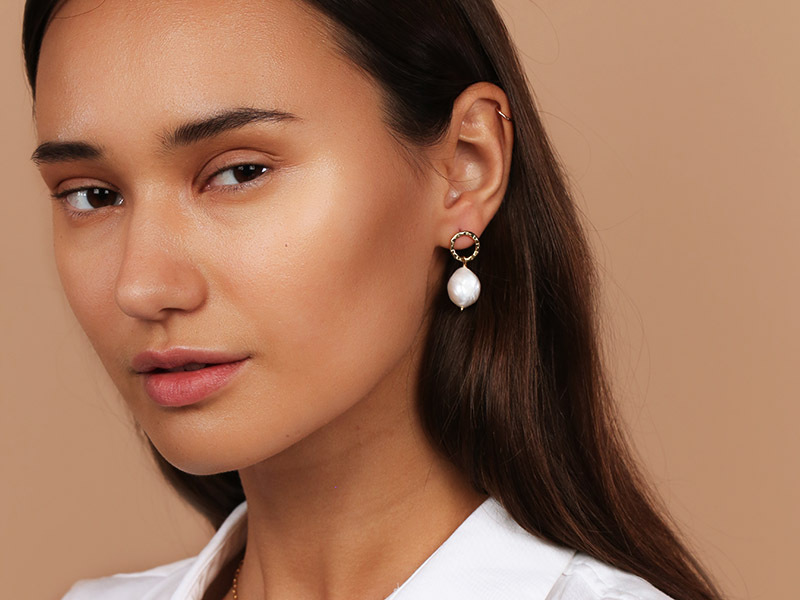 Featuring freeform baroque pearls and an elegant design, these earrings will emphasize your features and help you achieve an elegant look. As you can see, there are many types of earrings you can get, but not all of them are ideal for you. Try to choose designs that work for your face type and stay on top of trends by following our blog. Yes, we publish daily articles with lots of interesting content that will help you become a jewelry expert. And, of course, if you want to get any of the creations featured in this article, visit Ana Luisa online jewelry shop. You will discover a collection of unique earrings for women that you will fall in love with.